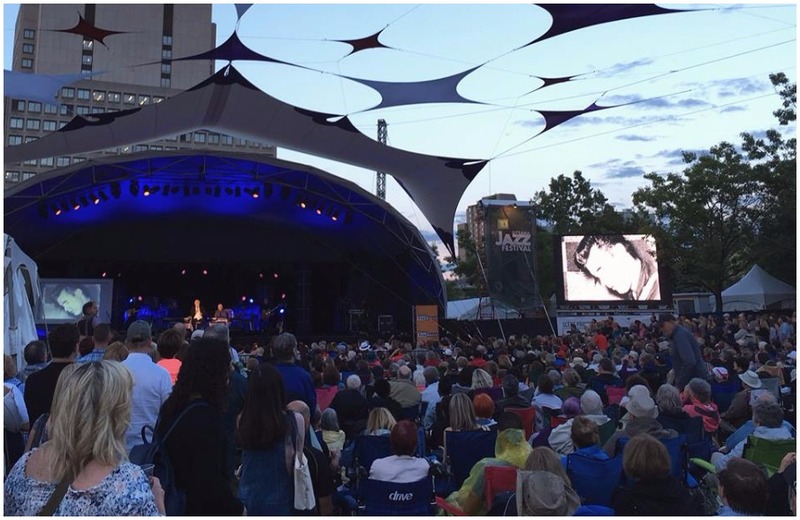 James Hale reviews BassDrumBone’s performance at the 2017 TD Ottawa Jazz Festival (June 29, 2017). 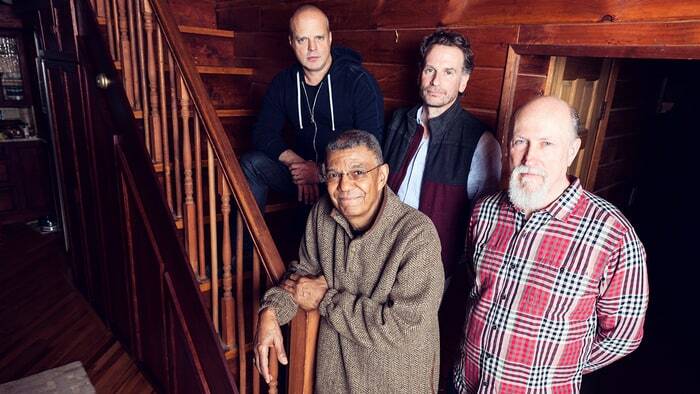 Bassist Mark Helias, 66, drummer Gerry Hemingway, 61, and trombonist Ray Anderson, 64, were all up-and-coming young men in 1977 when they got together for the first time to play in New Haven, Connecticut. Hemingway, a New Haven native, was already teaching and developing a unique approach to codifying non-traditional percussion sounds. Helias was studying at Yale, and Anderson was a nascent member of Anthony Braxton’s group. Hemingway thought they might gel as a trio, and clearly, they did. Forty years on, they are still making compelling, provocative music together. 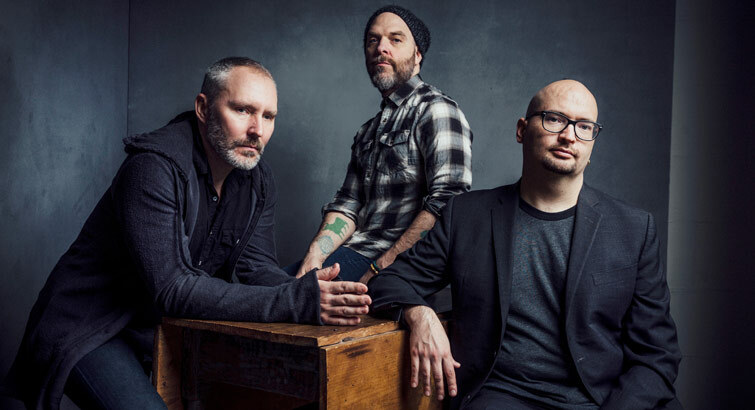 For its Ottawa debut, Hemingway announced that the trio had brought just a portion of the compositions in its repertoire, holding up a thick binder of sheet music. While lead sheets were in place for each of the band’s songs, there was no mistaking the level of improvisational skill on the bandstand. Just like the easy banter that flowed among the three between songs, the musical conversation was rich and deep. Their set—dedicated to pianist Geri Allen, who died on June 27—began with two sonically varied compositions from the anniversary recording, “The Long Road.” The bluesy “Why Not?,” with its sturdy bassline, illustrated the subtlety that Hemingway brings to the drum kit, constantly shifting tonality and touch. “Quomput” demonstrated the exceptional balance between the musicians, with Anderson playing a typically puckish melody line while his bandmates kept the tension taut under him. On Hemingway’s “Show Tuck” the drummer and bassist showed the kind of small gestures that have set BassDrumBone apart—the combination of bass harmonics and a matching tone from a small cymbal placed on Hemingway’s snare. But the highlight of the song—and the performance—was a long, multifaceted display of circular breathing by Anderson. After 40 years, BassDrumBone still sounds fresh and vibrant—a bracing tonic in the musical world.